The Erickson Building, at 1630 Miner Street, was built by Edward Erickson from 1879-1990. The building housed a variety of businesses through the years, but Erickson maintained it until 1918 when he sold it to Simon Weinberger for use as a saloon, which sported the city’s first electric sign. At other times, it served as a meat market and the "GEM" movie theatre. 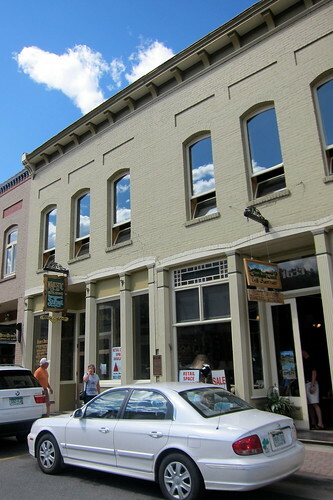 This entry was posted in Colorado and tagged Building, Colorado, Erickson, Idaho, Springs. Bookmark the permalink.